SINGAPORE, March 27, 2019 /PRNewswire/ -- Huobi Global passed a milestone yesterday, launching a better way to provide the crypto community with access to cutting-edge projects at discounted rates. 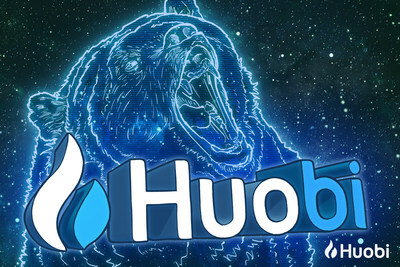 Huobi Prime went live at 21:00 (Singapore Time) on Tuesday, March 26, offering TOP, TOP Network's native token to the first ever batch of Huobi Prime users. "While we knew Huobi Prime's inaugural launch of TOP would be popular, even we were amazed by the overwhelming response," said Ross Zhang, Head of Marketing for Huobi Group. "We were thrilled to hold our opening launch with our great partners at TOP Network and we are humbled and honoured by how many people wanted to take part." Acknowledging that only about 3% of the 130k participants were able to purchase TOP as a result of the overwhelming demand by some users, Zhang said that plans are already underway to implement improvements for future Prime launches. "We hear your concerns and we're already working on ways to address them," he said. "Our goal remains making Huobi Prime the premier place to access premium coins for the broader crypto community, not just the few." Zhang also addressed concerns about the verification slider Huobi requires users to use to complete purchases. "The slider is an anti-script and anti-bot safety mechanism and it is one of the standard methods we use to ensure trading is fair and equitable. We've found it to be quicker and easier than the more common CAPTCHA method but we will evaluate it as we continue to improve the user verification experience."